Mr. 2-17, 22, couldn’t have been more than ten when Atlanta’s Ciara dropped her debut album, Goodies, in 2004, riding high on the “crunk” wave brought in by Lil’ Jon. When 2-17 was just entering his teenage years, his hero, Soulja Boy (who he’s hoping will read this and reply to his tweets), had the whole world “cranking that” and hitting the “Superman” dance in every party nationwide, if not via cell phone ringtones on every block. Despite his youth, he was old enough to be permanently moved by both styles of sound—styles that allowed Atlanta to rest comfortably reclined with its feet up, at the top of the charts and in the realm of hip-hop. With artists like T.I., Jeezy, Ludacris, Yung Joc, and Usher dominating mainstream from the middle through the tail of the decade, everyone wanted to throw the “peace up, A-town down” well before “trap” was understood (also birthed in the “A”). It’s a nostalgic feeling Mr. 2-17 is out to restore with his music. And while the rest of hip-hop is currently stuck on the trap trend, the Eastside, Atlanta native and creator of Hottlanta, a cinematic gem documenting and celebrating the city’s vibrant music and dance culture, is turning the dial back to Atlanta’s feel-good music of days past. Here’s how. Mr. 2-17 was offered scholarships to HBCUs for band, but had other plans. His band knowledge still comes in handy. 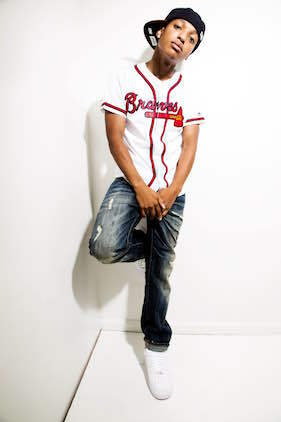 He describes his music as an “original ATL” sound. He met Bankroll Fresh and 2 Chainz by first being a cameraman. From that relationship, 2-17 also got closer to Street Execs management, Travis Porter, and subsequently, 2 Chainz. “Bankroll was like, ‘Hey, man, 2 Chainz is working on Trap-A-Velli 3. Send him some tracks,’” 2-17 says. “So I sent like probably seven tracks, and out of those seven, he picked two.” One was the beat for 2 Chainz’s “El Chapo Jr,” and the other, “Blue C-Note,” wound up on Chainz’s latest album. Good vibes are important for 2-17 to create in the studio. Mr. 2-17 says follow these three tips to make it. While he doesn’t hate on Desiigner, Mr. 2-17 says Atlanta is a united front against outsiders.